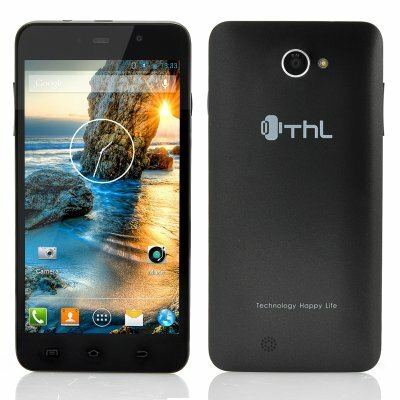 Successfully Added ThL W200S True Octa-Core Phone - 5 Inch 1280x720 Gorilla Glass IPS Screen, MT6592 1.7GHz CPU, 32GB ROM, Android 4.2 OS (Black) to your Shopping Cart. ThL W200S True Octa-Core Phone is a powerhouse with an outstanding performance as it has a MT6592 1.7GHz CPU in addition to having a 5 Inch 1280x720 Gorilla Glass IPS Screen and an Android 4.2 OS. Let’s face it, you want to open up your browser, a social media app or two, a game, an education app, a maps app, your photo album, and a news app, plus whatever else, and you expect your phone to be able to handle it all without pause. The ThL W200S can do that. The reason behind its speed is the MTK6592 Octa Core, which contains four 2.2-2.5GHz A17 cores and four 1.7GHz A7 cores. These puppies are fast. We’re talking world-class speed. It’s a multiprocessor that is sending shivers down the spines of other engineers. Am I Looking at Real Life or Your THL W200S? What’s that? Your new iPhone 5s has a 4 inch panel with 1136x640 resolution? Oh, that’s cool. Mine, oh it’s nothing, just has an extra inch (5.0 inches…size matters) on that plus significantly more resolution (1280x720). It only set me back, let’s see, 1/5 the cost of the Apple product. Who is laughing now? Arriving with Android 4.2 Jelly Bean as the operating system, the ThL W200s lets you have full control over the setup by allowing you to create a customizable appearance as well as organizing your installed apps that can be downloaded directly from the Goole Play store. With 32GB of internal memory, the ThL W200S provides you the opportunity to take your whole music library with you if you wish. If 32GB of internal memory is still not enough then give it a boost by inserting a micro SD card into the allocated slot for additional memory of up to 32GB. Okay, maybe he could, but still the Corning III Gorilla Glass is the Smartphone industry equivalent of a bulletproof vest. It’s built to last through time, wear and tear. That’s why the big budget companies like Samsung, HTC, Motorola, LG, Dell, Google, Fujitsu, and Lenovo all use it for the flagship products. The difference between THL and those guys is that they also pay Hollywood actors to hold their phones in multinational ad campaigns. Do you really want to help pay for Jessica Alba’s 4th summer home or Samuel L. Jackson’s retirement fund? Or would you rather get the same quality for a fraction of the cost? It’s the underdog or the man, and either way it’s coming out of your bank account. Choose wisely. What, you might ask, is the difference between the ThL W200S and its predecessor the ThL W200? 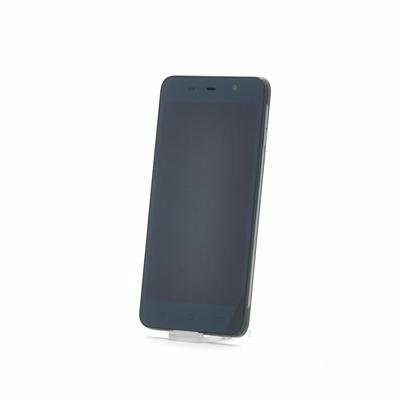 In stock now, we guarantee that the ThL W200S True Octa-Core Phone can be dispatched within one working day with a 12 months warranty. Brought to you by the leader in electronic devices and wholesale Android Phones, Chinavasion. Really great stats and value for money. The GSM signal is not that good and even loses it some times. OK this is a follow up of my first review. After sending in pictures of my ballooned out battery it was determined that this battery was faulty and a new one is on it's way to me. In all very painless. I've enjoyed a fairly pain free warranty issue and very happy to know it's almost over. I think that at eight times so far would have done it already but still. Works like new. I Love this phone, it's very fast and blows peoples minds when I tell them the price, but add $60.00 for fun. great Phone, nice design and fast system! Good interface and great screen! usb port broke down after three months! You are a genius.I was afraid at first to order from you, because from China to Romania is a great distance,I thought perhaps get damaged order, or nothing comes, but you deserve all the trust.European firms sometimes are lying people,and here,over the ocean,all is perfect.The phone works perfectly,I have it over 1 month,is working perfectly.About 10 multi-touch,no. :))Is more. :))Nothing to reproach.I sent some money to another Chinvasion's account,but they sent it back to the mail immediately.Respect. Buy from them.You will not regret.If you do not handle it, explain their staff and will end well. That was my case.And in my life I have not placed any order online.Look at more comments,the same message,but with other words. No bad points.Currently works perfectly.